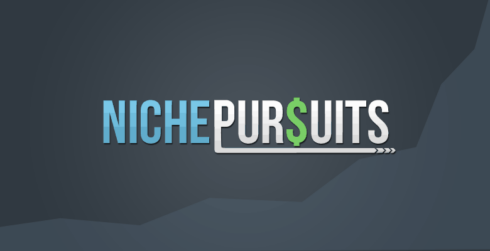 Today, I'm excited to FINALLY be releasing another episode of the Niche Pursuits Podcast! If you have been paying attention, you will know that it's been several months since a new episode has come out. And most of the episodes in 2016 were all coaching calls for Niche Site Project 3. So, today is the first original podcast episode that is not a coaching call since June 2016…8 months! And the good news (for those of you that enjoy the podcast) is that I've already recorded another 4 episodes, with several more scheduled to be recorded in the next couple of weeks. In today's episode, Jake and I discuss how our overall business is going. We focus on what has changed since selling Long Tail Pro, Amazon FBA, Niche Sites, and some big goals that I have. We cover quite a bit in this podcast, including some personal goals and more. If you would rather read, I've included the full transcript of the episode below. Enjoy! Spencer: Hey everyone, welcome to another episode of the Niche Pursuits Podcast. I am Spencer Haws, of course from nichepursuits.com. It’s been a little while since I’ve recorded a podcast but I’m happy to jump back into it. I’ve got a lot of things happening in my business and so we’re going to jump right into it. Before we do, I’m going to bring on Jake Cane who is going to act as my co-host for this episode. Jake, welcome to the show. Jake: Thanks, man. It’s good to be on the podcast. This is a sort of a rarity for me. I’m excited to be on with you. Spencer: It is. I’m excited to have you. People probably are familiar with your voice, at least if they’ve listened to the podcast. You did one official sort of podcast with Karen and I, I believe, and I don’t even remember what episode that is. I don’t know that you do either. Jake: Probably the most popular one. Spencer: You’re right. If I just looked at the download numbers, that’s the one. Jake: Sort by the moment the most listened, yeah, that’s it. Spencer: It was several months ago, maybe even a year ago that we did that one and the other episodes that you’ve been on were coaching calls between Ryan and you. Those are really the only episodes that you were on but I did want to give just a quick, at least background from how you’re working with me if people aren’t familiar, some people know who you are. Jake has been working with me in my business now for two plus years. Spencer: Jake was brought on to help with Long Tail Pro, to grow that business, and did a phenomenal job there. Of course I sold that business about a year ago and I decided to keep Jake on to run the other parts of my business. Jake has been with me for a little over two years and working in various aspects of my business and that’s why Jake is here with me on the podcast. He’s been working with me behind that scenes at all sorts of websites, products, Long Tail Pro of course but now is actively doing more Amazon FBA stuff and other things. That brings, hopefully, people up to date, Jake, on how you’re involved with my business and we’ll dive into that a little bit more here in this podcast. Before we talk about what’s the latest and greatest in the business, I did want to share what’s new with me. Personally, I’ve been working on a big goal of mine this year is to improve my marathon time. I’ve got a marathon in April that I’m training for. It’s the Mt. Charleston Marathon in Las Vegas Nevada, if anybody wants to check that one out. I really want to qualify for Boston this year. I’ve done about seven marathons already but I really want to hit the training hard and have been for several months now to try and qualify for Boston. That qualifying time for me is 3 hours and 15 minutes. My fastest marathon time up to date is about 3:24, just slightly under that. That’s what I got. I need to drop a solid nine minutes off my time which is a lot but I think I can do it. My plan is of course is to train a little bit harder, step one. Step two is to lose weight. I actually plan on coming in about, believe it or not, close to 15 lbs lighter then when I ran my previous marathons. They say for every pounds you lose, you run about two seconds per mile faster, just losing 15 lbs should make me about 30 seconds per mile faster. Spencer: The third thing, hand in hand goes with eating healthier. The last thing is picking a faster course. If people look at the Mt. Charleston Marathon, it’s all downhill, it should be faster. That’s what’s going on with me. Jake? Jake: So you start at the top of the mountain and run down, is that how it works? Jake: Mt. Charleston. It’s like cheating. Spencer: It’s a little bit of cheating but I’m going to do it. It’s certified Boston qualifier, so it counts. Jake: If you’re an odds maker right now, what’s your odds of getting that time you need, the 3:15. What do you think? Spencer: I still got long ways to go. It’s still 16 weeks away but training is going good but I don’t know, man. I still feel like it’s 50-50 at this time. It all depends on how the training and if I actually lose the weight goes, I think. Jake, what’s new with you? What’s something interesting happening? Jake: Biggest thing this year, Spencer knows, I’m checking a bucket list item, if you will. 2017, I’m going to take the month of June off. I’ve got three little kids at home and they’ll be off, of course, for the summer and we’re going to take a big cross country road trip. We’re in the mid-west and Cincinnati, Ohio, we’re going to head out West and go through a lot of the national parks and do some camping and drive down through California and a bunch of places that we’ve never been and have always wanted to go. We’re really excited to do that with my wife and kids. Taking a full four weeks there and going to stop and see some friends along the way from college that live across the country and stay with them. We’re super pumped up about it. Any free time, I’m planning that out a little bit. Spencer: That’s awesome. You must have a really nice boss to be able to do something like that. Spencer: Absolutely. I love it, man. Being able to have a flexible schedule like that, that’s what I enjoy and so you being able to do that for a month, that makes me happy too, so that’s awesome. Spencer: Let’s dive into the latest and greatest to catch people up and hopefully some of things that we talk about will be things that people can apply into their own business. I don’t just want to talk about our business. I really do want to make it actionable. Hopefully, some of this review will be actionable for people. I did want to catch people up how my business has changed from 2016-2017, the biggest thing of note of course is that I did sell Long Tail Pro which was the biggest piece of my business up until early 2016. I do still own 20% of the company, but I’m no longer actively involved in the day to day operations of that business. I still do enjoy some of the income from that which is able to support me in a way so that I can invest a little bit more in other business ventures. Once Long Tail Pro was sold, we’ve started focusing more and more on Amazon FBA. Maybe you can talk a little bit about that, Jake, because you’ve really been the engine behind that growth. That’s primarily where you been spending your time. Maybe just talk a little bit about what we’ve done there in the past year. Jake: Yes. We try to get pretty aggressive with launching new products and Spencer is pretty all forward as far as whatever ideas and that was what I was doing throughout this Spring was coming up with the ideas and trying to go get samples and get products launched. We did a variety of things, we did some unique products that were just things that we dreamed up, just brainstorming. We did some things that were more typical private label, kind of a Me Too product where we thought we could get a little bit of a presence there especially back in what is the past now, where you could do some giveaways and get reviews and things like that. We tried some of that and just kind of a mixture of things to figure out what was working. I think definitely our bigger successes came with those products that had something unique about them and something a little bit different to offer than everything else you find on Amazon because it’s really competitive out there. Frankly we had some flops, we’ve had some things that we hope we could get some traction with, we just never did and I think fortunately the good has outweighed the bad but I think we’ve learned a lot about the type of product we want to try to launch as we go forward for 2017 and the future. Spencer: Right. I think there’s a lot of different ways to tackle this type of business. I don’t really want to provide a blueprint but this is just what’s worked well for us. We tried doing, like you said, very generic products, even going to AliExpress and not even doing unique packaging or labeling or anything, right? Just whatever AliExpress had, we tried to launch some of these products with varying degrees of success there. One or two of those quick launch AliExpress products allowed to think of how we could be unique to test a market and go okay then maybe a market here, how can we make a better product now? But really what has worked well is just having a unique angle for us on our product. That’s really where all our big winners were and so we’re focusing a lot more on that with new products. How can we make this different? How can we can package this different? That what’s worked well. Throughout the year of 2016, we launched about 23 products, total new products, and that allowed us to grow by about 400% from when I compare 2015 to 2016 which was huge but there’s a couple of caveats there. One is that we didn’t have a full year of selling on Amazon in 2015, I started in about March of 2015 and so it takes some time, it’s not really a perfect comparison because we only have a partial year there but we’re seeing a lot more success now with our unique products in 2016. I’m very excited for 2017, the growth that I hope and expect will happen there. Spencer: Anything you want to add there for what we’re looking to do in 2017? Jake: I would just say a piece of advice for somebody hearing this, when we say unique product, I found that a lot of people, just friends and emails and whatever that I’ve talked to get a little bit intimidated by that. Your mind jumps to I got to invent something and it’s not necessarily that. I don’t think we’ve done anything that’s like ground breaking that we will call an invention. It’s more of a modification of an existing product. We try to prove that hey this general product sells whatever that is. Let’s just say it was a pair of shoes. We know that pair of shoes that they sell on Amazon, how can we make them better? How can we make them a unique pair of shoes? That’s how we approach it, I just want to throw that out there. That’s what we mean when we talk about how we do unique products. It’s been nice because when you go to manufactures, you have a reference point to say hey, you guys make something like this or here’s an example, something like this, but we want to change A, B and C and that’s how we start the sample process. Spencer: Right. Exactly. An example, something that just popped into my head, this isn’t what we sell but somebody else does is little hotdog slices for kids, it’s just a little kitchen gadget, you put a hotdog in there and it chops it up and do a bunch of pieces real quick and easy. It’s a unique product but there’s a lot of people doing that. One company, they have same mechanism –hotdog slicer but it shapes like an actual weiner dog. You put your hotdog in the weiner dog and chop it up, right? That’s their unique angle. It’s the exact same tool but it’s packaged to look like a dog. Jake: A tool everybody needs, obviously. Spencer: I don’t know why we haven’t ever looked into the one. But that’s to give people an idea, you’re exactly right. We’re not doing anything that we patented or anything like that but we’re trying to look at unique angles. The other thing that we’ve been doing in 2016, as I look back, things that went well is five or six niche sites that Jake and I have been working on. They’ve seen some good growth there. 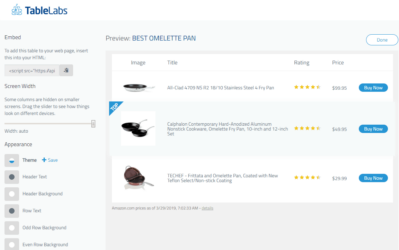 A couple of those are related to products that we sell on Amazon, so we have a couple of brands that we built Niche websites out and we’ve attracted a lot of traffic, good traffic growth and we’re sending a lot of that traffic either to Amazon or selling our products directly on our website. Why have we seen some growth? A couple of reasons, I want to hear your thoughts Jake. Why do you think some of our Niche Sites have done so well? What’s been our strategy? Jake: It’s going to sound trite but keyword research is a big part of it. You’ve sort of been hitting that drum for about two decades now. Cocktail keywords, right? But that’s really been a big part of it. We came into one that’s doing really well with a site that you had for a while but it was kind of dormant, not really doing much. When we just went back in and reinvigorated that with new content and based it on Long Tail Keywords and like you said, we developed products around it. It’s sort of the same story everywhere else, I think that’s the biggest thing at the core of it, that’s where we spend most of our time, it’s just the strategy content side of it and getting the content done and it’s been working. Spencer: Exactly. That’s my thoughts too. We primarily focus on low competition keywords, producing great content, and a lot of people always ask me about link building but to be honest, we don’t do much. It’s just not really been a focus, in fact a couple of our sites we’ve done none. There has been no effort to do link building and we’ve still seen growth. But I don’t want to get people the wrong idea as well that everything we try works. It’s not the case. Maybe we should spend a couple of minutes talking about thing that didn’t go quite as well. I can think of certainly some products. We launched 23 products. I don’t know that I have a number but off the top of my head, certainly at least seven or eight of those, we’ll never reorder, right? Once we’re out of stock, they were losers. Maybe we’ll break even but certainly several will lose a little bit of money but they’re not making enough that we’ll ever reorder. Several of the Amazon physical products that we launched, I don’t know if you have a better idea, maybe it’s as high as a 10 or 11 of those, you know that we’re not going to reorder, right? Jake: Right. I would say that’s a fair estimate, I’d say at least half. But it’s the ones at the top have more than paid off for that, the risk. When we try to limit the risk upfront, just to be honest, if we have what we think is a wild idea, we found that everything’s negotiable when you’re working with the manufactures so we try to keep that initial cost as low as possible. If we get it, we find out people are going to love this and then nobody buys it. We’re not in the hook for tens of thousands of dollars or something crazy. We’ve got to keep that pretty low. Spencer: Exactly. Several of the products we’re able to launch for less than $1000 invested. Some is more than that but even let’s say I invest $5000 into a product, even if it’s a loser, eventually the product sells and I get fairly close to breaking even. Even worst case scenario, I’m out maybe $1000 but I tried a whole new avenue, and the winners like you said, the ones that do really well, they might be netting $3000 or $4000 or $5000 a month or more. We do have a couple of products that certainly do more on that net profit every month. Jake: I think that’s how we are more and more out and talking about it for people listening as far as margin is concerned and I know you’ve probably heard that before if you’re just getting into this but just knowing your numbers to know that I’m buying it for whatever, I think I can retail it for this, but know that break even number, use that Amazon FBA calculator and just figure out. I think I can sell for $20 but I’m almost certain that I can unload it at $10. You know what I mean? I’m going to be low price to enough to where even if people don’t love it, I’m going to be able to sell through it and I’m not going to get foreclosed on my house. I’m going to get my money back. Just knowing that number up front like I think we’re both optimists and we see how big this could be and stuff but when it doesn’t work out, you want to know that at the bare minimum, I can do this and have this number in mind before you buy anything. Spencer: We’re going through that with a couple of our products. I was super optimistic and ordered thousands of units, I’m thinking of one product in particular that you’re aware of and it’s been sitting now, it didn’t sell as well as I hoped. It’s been sitting around for about a year and I’m now about to incur long term storage fees that are pretty hefty that Amazon charges if I don’t unload those really quick. I’ve been dropping the price and I’m even losing a little bit of money on each of these. It’ll be less money than if I were to pay this huge thousands of dollars in long term storage fees from Amazon. I just wanted to be clear with people that we’ve definitely had some losers, not everything we try is a success and same goes for the sites that we built. Can you think of any losers there? Or things that didn’t go quite as well as planned? Jake: Maybe. I still consider those not yet. Jake: Works in progress. That’s right. Just taking along some of our new one we purchased or in the process of trying to resurrect that site. It was a site that used to have a decent following and was neglected for years. We purchased that as a chance to try to add some new content. Some of those things I think we’re still working on but haven’t turned around as quickly as we’d hope, for sure. Spencer: Right. That’s the thing is that with our sites, we found a formula, if you will, that works pretty well as long as you’re willing to play the long game. I’m willing to spend a year just producing great content and not focusing on all kinds of other crazy marketing ideas to just let it grow organically. For the most part, they’ve done pretty well, you’re right. But the one you brought up, it may take just a little longer than we have expected. Jake: The other, I guess, maybe lesson learned, that we’re changing as we go into 2017 that we probably won’t do again, as far as launching products are concerned. 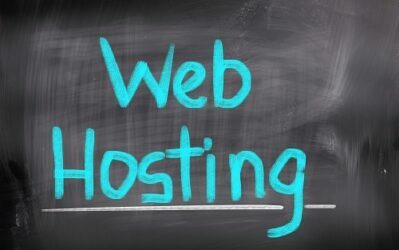 We do have a couple of web properties that are doing pretty well, we’re building a nice list and we get a lot of traffic and all these things and so we’ve seen a lot of success doing products in that niche and so we can push our own traffic to our own products, that sort of thing has worked really well. I think just moving forward, we’re trying to narrow our focus of instead of last year we did products that were just all over the map, had no real connection with one another, totally different brands and all kinds of stuff. Now we’re trying to think about it, what products can we launch that we could promote to this audience because it just helps you launch faster, you’ve got people that you can immediately promote to. You get free traffic you can drive to your own Amazon listing, I just think that’s more important than ever, especially with the crackdown they did with the incentivized reviews and all that stuff, I think being able to push your own traffic to your own products is huge. That’s where we’re trying to limit ourselves a little bit and go with these places where we’ve already got audience built in. Spencer: Yeah, absolutely. That’s really I believe how we are going to take the business to the next level. We do like to dream up new products but we’re starting to focus more on very specific niches that we already have an established website or following at least at this point. 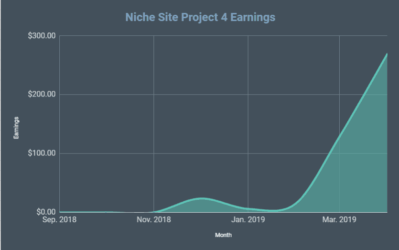 Another thing that I wanted to share with the Niche Pursuits audience here on the podcast is a big focus that has been mine in my business since the beginning of the year. Like everybody, I sat down, reflected on 2016 and was thinking about goals and what I want to focus on in my business going forward. One thing that I feel like I want to focus on and be something that I can give back in a way is I really want to focus on helping individuals become entrepreneurs on their own and be able to work on their own schedule. As I looked at my life, I’ve now been a full time entrepreneur for almost six years, believe it or not. In March it will be six years that I quit my job. I still remember vividly what it was like to work in the corporate world, I was a business banker at Wells Fargo. Sitting in my cubicle and having a boss and just having that fixed schedule and somebody else’s goals, somebody else’s ideas that I had to do the grunt work on. It just wasn’t the most exciting position for me. It was a good job, it was a steady paycheck, but I just know that there are so many people out there in the same situation that are dreaming of being able to work on their own. When I look back at what I’ve been able to do, and the schedule that I’ve been able to have. I work from home and I’m sitting here in my own home office right now, my wife and son are in the other room. I get to see them all day, every day, I take my kids to school in the morning, when they get home from school in the afternoon I’m here and get to see them. If I want to take a two hour break to go train for a marathon, for example, in the middle of the day, I can do that. I love it. Certainly through this podcast and through my blog, I want to inspire and teach people how to become entrepreneurs. I’ve done that a little bit but really I want that to be more of a focus to be able to allow people to eventually quit their job and work their own schedule and have that flexibility. On the other part of that that we’re going to dive into here a little bit as well is being able to hire individuals and allowing them to work that flexible schedule even though maybe they’re not their own boss officially, to be able to give them that freedom away from the corporate world. Hopefully something that I’ve been able to do for you Jake, right? You can tell people what I’ve given you as your schedule, right? I essentially say work your own hours, I don’t care, as long as the work gets done. Let’s make it happen. I try to allow you to be an entrepreneur in this position, to give you a lot of flexibility and freedom. Maybe you can speak to that. What is it like, not just working for me but be able to work in a position where you have that flexibility. Jake: You want me to just talk for a couple minutes about how amazing you are, right? One big clear on that question. Jake: No, I’m kidding. It’s been excellent, it was a big switch. I was in the corporate world, worked a technology job before I worked for Spencer and it was a big leap of faith working for somebody that I never met, who I’ve been reading his blog for a few years. It’s kind of weird and I got some odd looks and weird questions from family about that but it turned out to be a great thing and Spencer’s been super supportive, the schedule. I have a lot of the same benefits now, just working from home and seeing my kids grow up, that stuff is priceless. I decided at the time if I can make enough where we can survive, I’m going to do this just because that was the vision. My life goals were more about who I want to be, not necessarily what I want to do as far as professionally is just sort of my mindset. Spencer’s allowed me to do things as far as launching other stuff and being an entrepreneur for yourself. I’ve come a long way there in the last couple of years and launched some of my own brands and some of the sites that I’ve started and grown in a way better spot that I was a couple of years ago and frankly things that I couldn’t have done without Spencer and his insight and seed money to get started. We have done some partnership, tight deals just things frankly just would never have done. I didn’t have the opportunity to do. To say it’s life changing would be an understatement for me. Spencer: Yeah, that’s awesome. I want to share this on the podcast simply because this sort of guiding principle of helping others become entrepreneurs and work that flexible schedule is sort of a guiding principle now for everything I do. I’m trying to think of that even when I’m making business decisions, believe it or not. In two ways, like I said, I’m going to be doing that, of course. Hopefully inspiring and teaching others to my blog and podcast. And then secondly, by hiring others to work that flexible schedule, like I mentioned. I’ve got Jake. 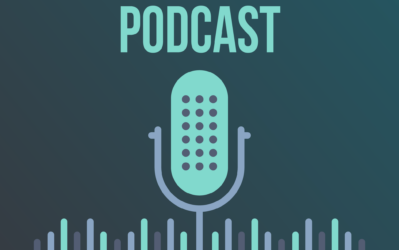 That moves us directly into this next portion of the podcast I want to talk about is how do I manage so many different businesses and products that I have? The reality is now, since I cleared that hey, I want to even hire people to give them an opportunity to eventually become entrepreneurs. That freed up the way I’m thinking about things instead of just trying to hoard all of my revenues, right? I’m thinking, you know what, it makes sense to bring other people on to help me manage all these different pieces of my business and that allows them to see the inner workings of what I do and hopefully teaches them how to become entrepreneurs and grows my business, yes, but eventually I would love it if they go out on their own and become entrepreneurs and enjoy some measure of success as they do that as well. These thoughts became more clear to me as I was thinking at the end of last year, I was actually at a conference and it seems like whenever I go to a conference. It’s just I’m away from home, I’m around a lot of smart people, I think more strategically about my business because I’m sort of separated from the day to day. These thoughts became clear in my head that this is what I wanted to do and I sat down and I looked at the different pieces of my business and I said, you know what, really I’ve got four to five separate businesses that I’m all running, Jake and I are all running and it’s kind of crazy. We bounce around all the time, there’s not a lot of focus in it. It works great, I love it, I have a lot of fun. That’s just the sort of the way I am. I liked to have my hands involved in a lot of things but I thought, you know what, some of these businesses can now afford to hire their own brand managers. That’s what I’ve decided to do is hire a couple of brand managers to run these individual websites or products or brands. The way that I’m looking at it now is what Jake and I are calling this incubator model. Jake and I have these ideas, we put them into this incubator. We launched these products on Amazon or we start these new Niche websites, sort of in incubator phase and Jake for the most part is really the manager of the incubator. Jake goes in there and starts things from scratch, tries to get them to a point where they’re profitable and making money with the plan that once they’re making enough money where they can hire at least a part time manager, let’s say, $2000 a month they are bringing in, that I can go out and hire a part time US-based brand manager or maybe a full time VA type, virtual assistant Filipino type manager, whatever that is, right? It can support itself to bring in a brand manager that can then work on it full time or at least part time but that’s their sole focus to grow that brand and that takes something off of my plate, takes something off of Jake’s plate so that you can focus on the incubator in growing the other brands. Did I describe that well, do you have any thoughts on that? Spencer: To give people an identity; it’s in the music space for a particular instrument, Jake and I don’t play this instrument. We don’t really fully understand the musicians in the space, so we brought in a musician that also just happens to have some experience in growing businesses as well. Once I made that decision at the end of last year, this year, in the first month of the year, I’ve hired two brand managers which is pretty big for me. The last hire I made was you, Jake, over two years ago. I’ve sort of gotten more aggressive. I decided I need some help, I need people that can grow these individual brands and I believe that’s how we can take this to the next level. I’ve hired two US-based brand managers that are part time at this point, but they’re focusing on one specific brand with the idea being that once these brands become big enough to support them full time, I’m going to hire them full time. Once the brands continue to grow from there, we may do some other things with them, whether that’s sell them off as a complete company on their own or just think of other ways to grow and sort of separate those out even more fully from the incubator mess, if you will, that we have with all these products and businesses that we’re working on. To give people an overall big picture of the structure of the business, as I look at it, Jake is sort of the general manager over the incubator, all these individual brands and products that we have, then of course we’re now hiring out, separating out these other brands with their own brand managers. I, myself, am the brand manager, if you will, of Niche Pursuits, the podcast, the blog, any other products that I might release down the road if I do another software product, I would be the brand manager of that. That’s where my focus is in addition to being the entrepreneur, making a lot of the strategic decisions for everything else that’s going on in the business. Anything else to add to that, Jake? Jake: No, I don’t think so. I think you covered it. Spencer: Okay. This is something that is discussed in the book eMyth Revisited by Michael Gerber in a way. That is a great book if you have not read that, or if it’s been a long time since you’ve read it. I encourage people to pick it up and read it once again. This was reminded to me, I was having a conversation with John Heaver, he’s an authority website income. I was asking him how he manages his business because he has even more moving pieces I think than I do, he’s got dozens and dozens of writers that he manages, all sorts of other things that are going on. He sort of talked about this model; there’s three different positions, this is what’s discussed in eMyth Revisited. There’s the entrepreneur, the manager, and there’s the technician. When you first start your business, you’re wearing all three of these hats; you do everything. You make the strategic decisions that the entrepreneur makes, you’re the manager that manages all the moving parts and pieces of the business, and then you’re also the technician, you’re the person that actually does the day to day labor in the business. But as your business grows, this is where a lot of businesses fail, they don’t see all these individual hats and individual positions, they keep doing everything. That’s what I’m trying to separate, have some sort of separation in my business. I’m the entrepreneur at the top making the strategic decisions, and then there would be a manager like Jake that’s sort of managing a lot of the individual moving pieces, and managing the individual employees. I think about some of the websites that we have, we have writers that we hired that Jake is managing, that’s what he’s spending time doing, managing the content flow, what content is produced, and then physically managing the writers, if you will, and making sure that they produce the content that we plan to do. And then the technicians would be the actual writers themselves. They’re the ones actually producing the content and that sort of thing. It’s just a big picture way for people to think about their business, eMyth Revisited is a great book. As your business grows, be thinking about the individual hats that you’re wearing, whether you’re spending too much time as a technician or a manager or an entrepreneur and figuring out what’s appropriate for you in your business. Jake: Just curious, how long does it take you to make the leap, kind of figure out I shouldn’t be doing all this myself, because you were pretty much a lone wolf for a long time. Spencer: Yeah, absolutely. It’s kind of a recurring theme I think for me. Certainly before I ever quit my job, I was still doing everything myself building out niche websites. It took me a while even then to hire writers. Then what I finally decided after a couple years, man, I should just have somebody write articles for me. That was a big step. Then, once I quit my job certainly and had enough income coming in to where I should go beyond hiring writers to hiring somebody to help me manage everything, I brought Karen in who helped me manage websites and then finally I brought you in. It’s a recurring theme. For every business that I start, it takes me a little while to get to the point where you know what, I should just hire somebody to do this. Certainly, it took me at least a couple of years. Jake: I’m just asking your opinion here, I would imagine most people listening to this who are still on here to the very end of this podcast are probably part timers, side hustlers, people building sites, maybe working on products, things like that. Let’s assume that you were back in that position, you’re working full time at Wells Fargo and maybe you’ve got a site that’s making $500 a month of $500 to $1000 a month. Do you think somebody in that position should be looking at bringing on a writer or should they continue being a one man show until they get to a different level? Like if you were to do it again, what would you do if that was the position you were in now? Spencer: If I was focused on growth and getting to the point where I can quit my job as quickly as possible, I would absolutely hire a writer or hire somebody to help me grow. I would focus on growth rather than bottom line for as long as possible because once you get to a certain point, let’s say you are able to grow it up to $4,000 a month or something, you’re able to quit your job. At that point, you can quit your job and maybe fire your writers for a little while and start writing on your own. You’re still doing a lot in your business but you now are living off of your website. I would focus on growth, I really would. But having said that, everybody’s situation is different. If $500 a month means a lot to your family that you need that money to pay expenses, that’s a different situation. Go ahead and take that money, make sure your family is taken care of. All things being taken care of, I would focus on growth, I would hire and get to the point where I can quit my job as soon as possible. Jake: I agree at this point. Just some of the stuff that I’ve done, I wish I would’ve done some of that sooner as well. When you first start making that money, that’s really hard. You’re like, oh, this is sweet, man. I got an extra $300. Even if it’s just blowing it on, hey, let’s go out and treat ourselves to a nice dinner or whatever. It’s not fun to just drop that money right back paying for whatever it is, stuff to grow a little bit, that’s not fun to do that for a year, however long that takes. It’s tempting just to spend that money, but yeah, thinking long term. Spencer: Absolutely. I think that’s what I would do. That’s what I’m doing now. Certainly, it’s at a different point but I am more focused on reinvesting the revenue of the business back into hiring people and growing the individual brand. My long term play is to be able to hire people to do that, but to be able to grow these individual brands where they truly are individual businesses that could be sold on their own. A couple of years down the road, I hope that I have some brands that I can sell and have a nice exit and of course take that money and reinvest in other ideas, probably. Jake: Yup. I would say if I could just real quick, take that to the physical product side. I think for us, that’s reinvesting in product lines like we were talking about where you find a product that works in a niche and then doing a related product and trying to build that out further. Taking what technically is profit from that first winner and now we’re buying inventory for two products. Just building that up, it’s not a lot of fun to take all that money and sink it right back into inventory, but when we sell through the inventory for two products and then three products, it’s just a way to grow. Jake: That’s really where we’re headed. Spencer: Yup, absolutely. I think that gives people a great overview of where we’re at, what our plans are going forward, and just how we are viewing our overall business and some of the plans. Hopefully, people have found that useful. I do want to remind everybody that first of all, I appreciate your listening to the podcast if you made it through this far. I want to remind you that one of the best ways that I can know you’re listening and enjoying the podcast is if you leave a rating or review. If you could head over to nichepursuits.com/itunes and leave that review, that’s a great way for me to know that you’re listening. Going forward, I do plan on starting to record more podcasts, there will be some more interviews, hopefully some interesting angles on interviews that I’ll reveal once that is actually released, but then of course Jake and I will check in from time to time and sort of review what’s working in my business and share those tactics so that you can apply those in your own business. Once again, I just want to say thank you for listening to the podcast and have a great day. I don’t really like the full transcript on the page. Why don’t you hide it, so people have to click to see it? I guess / hope Google could still read it and it would increase the UX. Thanks for the feedback. Anyone else have an opinion on this? I agree. It’s definitely a “first world” type problem, but the scroll to the comments put me off (still made it though). I’m sure there’s a more elegant solution. Thank you for the full transcript. English is not my mother tongue and it’s more difficult for me to understand when you are talking than when I’m reading you. Spencer, so great hearing you and Jake back on the podcast! Great episode. I was mostly interested in the part where you were talking about brand managers. I’m at the stage now with one of my niche sites where I’d love to hire a brand manager as I don’t have a real passion for the niche which makes it a little difficult to grow the site. 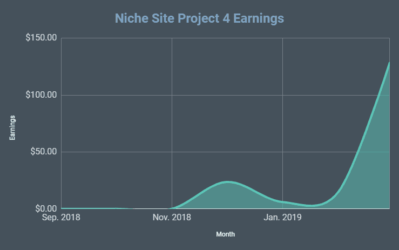 It’s making great income with Amazon Associates but I’d love to use that revenue to tap into other income streams for the site and just grow it out in general. Hey Marin, glad you enjoyed the podcast! As for brand managers, sounds like I should do another blog post or podcast on all your questions. In general, the tasks could be as much or as little as you are willing give. This could include keyword research, content production, outreach, funnel creation, email series set up, and more. I think it’s great that you want to help others get the lifestyle you curently enjoy. I’m ending my job in 4 weeks without much to fall on, but seeing all the info at my fingertips gives me confidence that I’ll make it. Thanks for the great content ! I love that you have a transcript of the podcasts. I enjoy reading more than listing because it sinks in better for me. Good luck qualifying for Boston! I am a runner too and it took me a few years to qualify, so I know it isn’t easy. Thanks Mat! I really do want to help others enjoy the freedom from their job. I’m still figuring out ways to do that, but I’m glad I’m starting down the road. Good luck quitting your job! (And I’ll keep you posted on the marathon). Wow I seriously hope there’s an open part-time brand manager position. I’ll definitely be the first to apply if there’s one. Currently looking for capital to start Ecom/Authority site business. Hey Steven, good to know. I just hired 2 part time brand managers, but its possible I’ll need another one down the road. Not sure exactly how I’ll find that person just yet. But it could indeed be an application process on Niche Pursuits. Good to know that. If you ever need one Virtual Brand Manager just let me know. I seriously wish to have a chance to work with you. I have intermediate understanding on the whole e-commerce & affiliate marketing flow. I once worked in an ecommerce start up and now working under one of the pioneer of internet marketing. On top of that, I can speak and write in both English & Chinese fluently. Product sourcing is was never an issue for me since I have connection at China. Consider this as brief CV of mine if you’re really looking for a part time brand manager =). Thanks for being bold Steven! If the right timing/opportunity comes around, I’ll let you know. English isn’t my native language ( I learned English at school with a Parisian teacher )….It is clear that transcription is valuable to people like me. Well done! I enjoyed the podcast, it was great that you shared your failures also. I was just wondering, I am just about starting out, did my keyword research yet do not see too much traffic, should I move on or is there a possibility to resurrect the website? There is always a possibility. It may take better content or more outreach/link building. Thanks for the valuable insight into your business and experience past, present and future. I really enjoy hearing from you, so please more of the same! An excellent and inspiring podcast. I hope more is coming. Hi spencer, how do you feel about the significant increase from Chinese sellers on the amazon market place. Have you had to change your game plan at all due to there products being significantly cheaper for a near identical product? And do you see Amazon FBA a still a viable business for USA based sellers? I haven’t seen a noticeable impact on my business. If you don’t mind a question, for your brand manager, do you hire them as contract or direct employee? I’m also curious for what all the brand manager is responsible for: like WordPress updates, backups, etc, or just content. You could probably turn this topic into a course! Thanks Spencer, hope you have a great day! Dude, I am so rude! I meant to thank you as well, Jake! Really, this was some great info – inspires me to think about how I can grow my business down the road. I’m very small potatoes right now, but I hope to change that as soon as possible. Just as a contract employee for now. Yes, responsible for wordpress updates, etc as well. Thanks! Good talk – thanks guys! Glad to see the revived interest in the podcast. Listening to these podcasts helps keep my motivation up while pushing through the hard times while trying to grow my site. This is nice information and very useful.